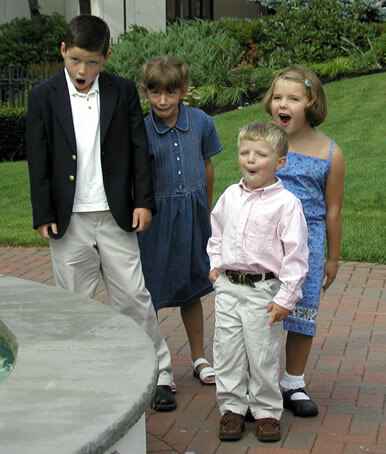 4/12/03 - "The First Easter Bunny" has its first public screening at the F4 Film Festival and wins the Audience Award!. The second consecutive win at F4 for PlasticVille Productions. 4/11/03 - Our first press coverage. 4/05/03 - We recorded commentary tracks for the upcoming PlasticVille Productions' DVD. Soon you will be able to hear stories regarding production of "The First Easter Bunny" and "We've Got Johnny" from plastic filmmakers - AF Grant, Chuck Smith & Brian DelGiudice. 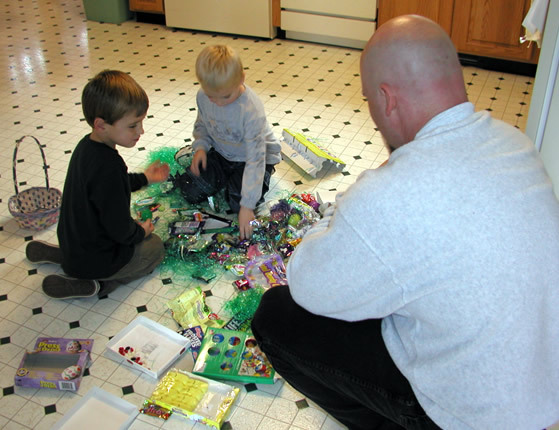 2/05/03 - The First Easter Bunny is complete -- Now it is Festival time! 2/01/03 - The First Easter Bunny is finished! The premiere screening for the cast & crew is tonight. 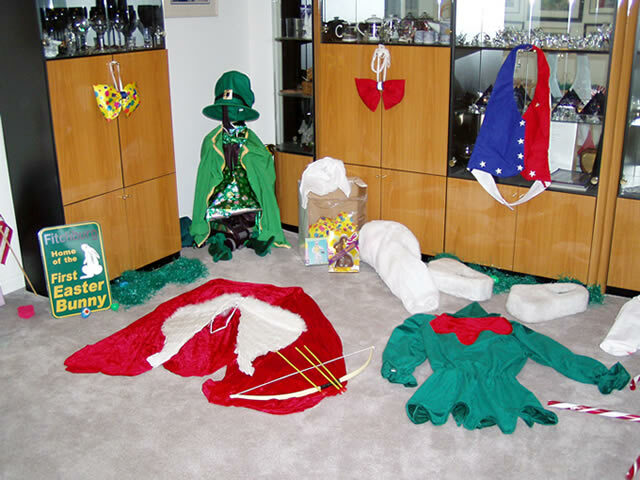 The whole house is set up as "Planet PlasticVille" - full of Bunny props and memorabilia. 1/27/03 - Editing was just about complete - then a surprise delivery came to us from Los Angeles. The Easter Bunny Theme by Dan Schaarschmidt arrives. 1/05/03 - The final day of shooting! The Christmas Bunny got to deliver his holiday treats and play in the snow before the Elves showed up for an intimidating showdown. 12/31/02 - Today we finally shot the Bunny meeting with his high school guidance counselor. Principal photography started four months ago and only one scene remains to be shot -- we should get that done this weekend. 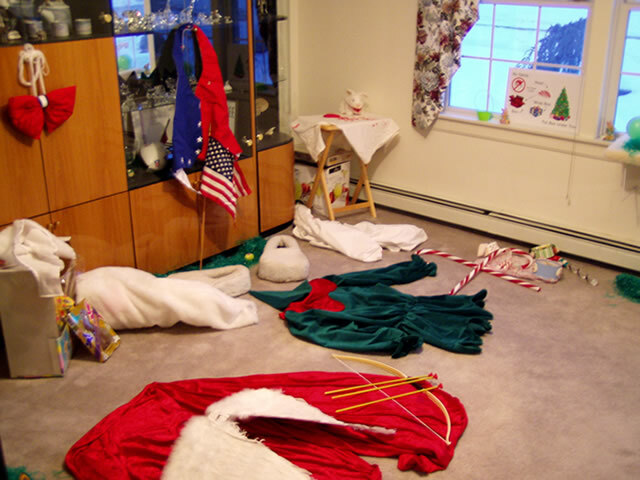 12/22/02 - Another productive weekend for the Bunny. Finished up the workshop shots, did a quick Leprechaun cameo, got some Christmas Bunny action and completed the very emotional scenes between the Easter Bunny and his mom. 12/15/02 - Shot the Bunny experimenting with food and gifts in his workshop today. We've also finally found our Easter Bunny's mom - Mari Davila. Shooting is almost at an end! 11/23/02 - Finished shooting "St. Patrick's Day", "Halloween" and more today -- plus we found the perfect workshop for the Bunny. 11/18/02 - Casting Call! We need a middle-aged to elderly woman (preferably ethnic) to play the Easter Bunny's mom. Requires just one half day of shooting - you'll get credit, a copy of the final product and the thrill of short film festival circuit. Contact af@plasticvilleproductions.com for more info. 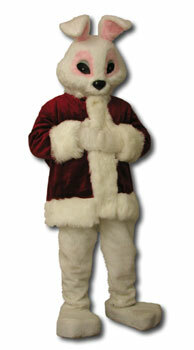 11/14/02 - The Bunny has been entered into his first contest. 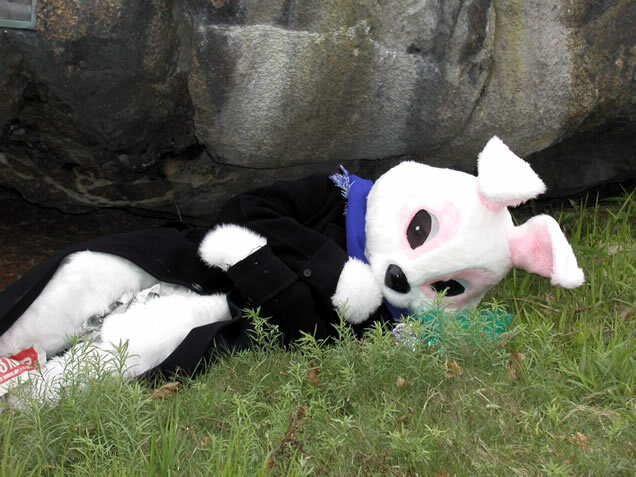 "The First Easter Bunny" has been submitted as a work-in-progress to the Independent Film Festival of Boston. 11/02/02 - Today we shot some short filler video for the life of the young Bunny. 10/29-31/02 - The Halloween Bunny was out and about this week trying his luck at Trick or Treating. Also on Halloween night I got some shots of Santa and Cupid in action. 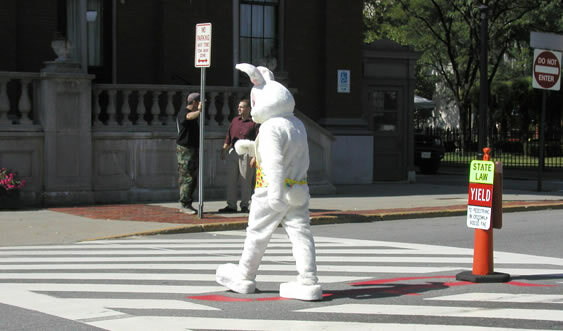 10/19/02 - More shooting in downtown Fitchburg - The Easter Bunny down on his luck. Check out all the shots on shutterfly.com of the past couple weeks of shooting. 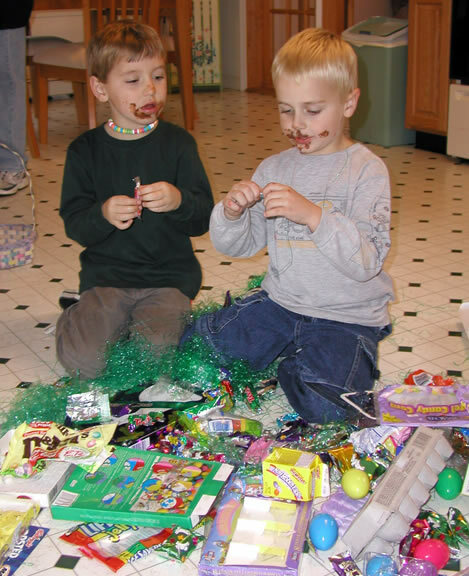 10/09/02 - Today was the Bunny's first Easter! 10/08/02 - Damn, Ms. Cinny has dumped the Bunny! 9/28/02 - Some minimal shooting was done today - kids and adults playing with the Bunny. 9/22/02 - The 2nd Unit crew takes the Bunny to the annual Johnny Appleseed Parade in Leominster Ma. 9/18/02 - Cool, Ms. Cinny has signed on as Mrs. Easter Bunny! 9/07/02 - Today we shot the big Easter Bunny press conference on the steps of city hall in Fitchburg, Ma. Since this was the first public appearance by the Bunny we attracted a bit of a crowd and lots of comments from passing cars and a huge group of motorcycles. Our cast of thousands (well 11 people - but that's as close to thousands as we'll get) were great and the day wrapped by noon. Also got some great generic Bunny around the town footage. Towards the end of shooting a couple of moms and their young children stopped to watch the Easter Bunny. While packing the truck I asked the moms if they had ever noticed the Home of The First Easter Bunny signs around town. One said yes she had. I asked her what she thought that meant. "That this is where the Easter Bunny is from" she responded. I asked "Do you believe that?" She thought for a few moments and said "Well, I'm a little skeptical." 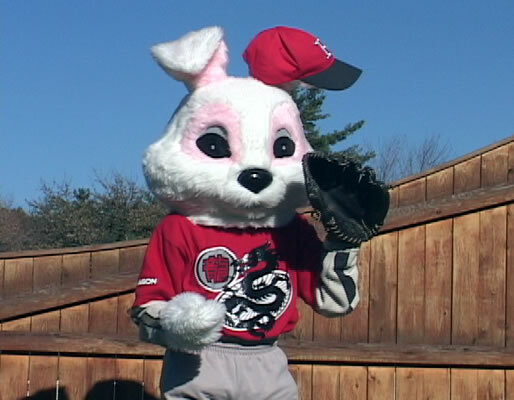 9/01/02 - Shot some Bunny test footage today. 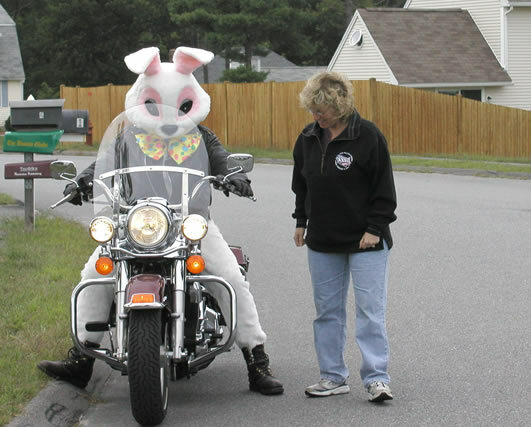 I rode my Harley through the neighborhood while dressed as the Easter Bunny. 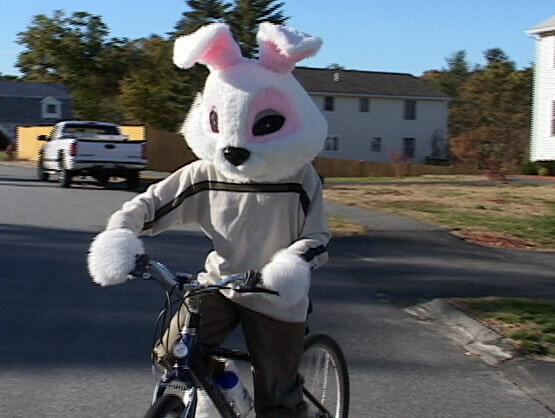 All the kids in the area started coming outside to say hi to the Easter Bunny and chased me on their bikes and scooters. 8/31/02 - Production begins on "The First Easter Bunny". We got use of a private park in downtown Fitchburg that is owned and maintained by Fitchburg Savings Bank (plug). We got through the main telling of the Bunny's story all in one day - quite surprising given that our stars for the day featured 4, 6, 7 & 8 year olds. 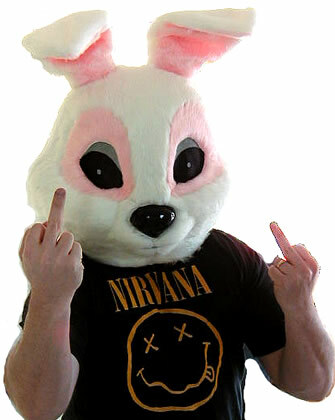 5/31/02 - I won an auction for a Bunny suit on Ebay. Now we better come up with something to do with it.